At its May 10 annual public meeting, Halifax International Airport Authority (HIAA) reflected on 2017 as a year of significant accomplishments, with the airport well positioned for future growth in 2018 and beyond. In 2017, total revenues rose to $100.2 million. The dominant factors that accounted for this growth included an increase in passenger traffic, which helped drive continued growth in parking revenue, increased earnings from concessions, and improved commercial revenue. Expenses totalled $95.3 million in 2017. The increase was primarily driven by increased depreciation and higher ground lease rent. Overall, revenues exceeded expenses in 2017 by $4.9 million. This is before accounting for the non-cash impact of HIAA’s defined benefit pension plan. These results are representative of the modest surplus that HIAA targets each year to provide for unanticipated economic or weather events. Under HIAA’s mandate, this surplus will be reinvested in airport operations and development to improve facilities and services. Passenger numbers saw considerable growth in 2017, increasing 4.5% to a record 4,083,188 passengers served. As part of HIAA’s 2017-2021 Strategic Plan, work will continue on evolving the airport into a Gateway to Canada. 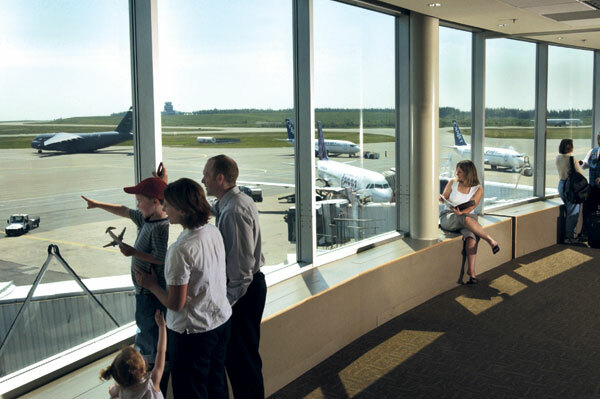 As airlines add newest generation aircraft to their fleets, Halifax Stanfield will be using its enviable position as the closest continental airport in North America to Europe to its advantage.